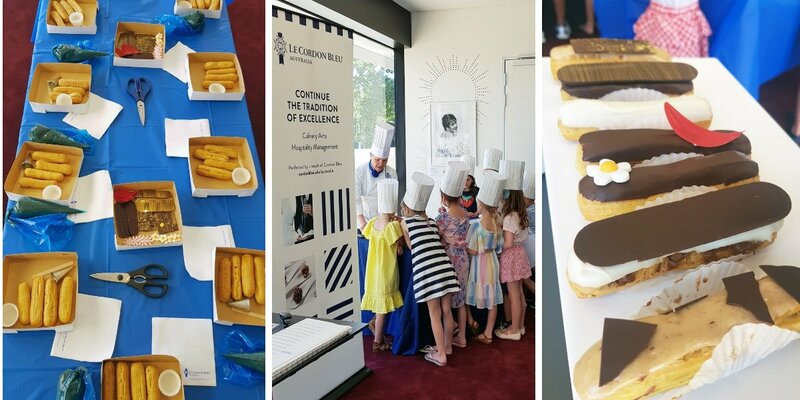 Junior Sous Chef workshops hosted by Le Cordon Bleu Australia were a hit with young chefs at the Adelaide French Festival, a popular cultural event celebrating everything French. Over two days, Adelaide French Festival offered world-class entertainment, food, wine, music, art and activities at the Adelaide Festival Centre. Our Junior Sous Chef workshops are always extremely popular, and this year was no exception with sold-out classes full of happy youngsters. 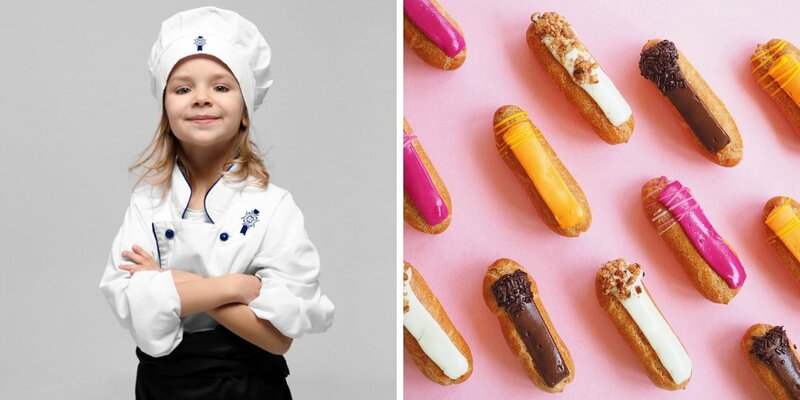 Le Cordon Bleu Patisserie Chef Jenni Key presented four interactive éclair masterclasses for excited children aged 4 years and over on Saturday and Sunday. Under her expert guidance, our budding pastry chefs learned how to fill and decorate éclairs, a traditional French treat. Le Cordon Bleu workshops are an excellent opportunity to share the richness of French culture with local community, and to nurture a new generation of budding chefs.